Should I change to a VPS? Those of us dedicated to this web, with time accumulate small web that we maintain in different providers of cheap accommodation. They are products for which we do not charge much because they do not require much maintenance either, and they simply “are there”. Over time, and as the number of websites we keep increasing, we get the million dollar question: Should I switch to a VPS? Total cost less than using separate accommodations. Better use of resources, since the resources that a web does not use are available for others. Greater ability to adapt the configurations to our liking. All resources of the VPS are at our disposal, not as in normal shared accommodation. The Internet is full of manuals to do the things we need. Better options to expand resources if we are small. It is essential to have knowledge in systems administration. Normally you will use a control panel (such as Cpanel, Plesk or VestaCp), which may have an associated cost. You must know and manage that control panel to avoid problems. If you want to have total freedom, you can not use a control panel, but you must be a good administrator. You have to take care of things like backup copies, save the logs, etc. The main problem with using a VPS is that you have to know how to handle it. If you are willing to learn to do it, you will find many advantages. If you do not have time or desire, better not even start because in the end you will regret it. If your motivation is just to save money, the safest thing is that you get fed up with the pileup. If you see it as a way to learn, improve and optimize, it’s not a bad idea. 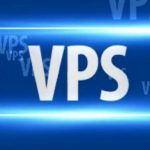 Which VPS provider do you recommend? Digital Ocean : For small VPS customers. You can earn $ 100 credit for 60 days using my referral link . Time4VPS : I use them for VPS backups, monitoring, logs, etc. If you register, please use my referral link . Amazon AWS: For more complete structures, static WordPress in high availability, etc. All are cheap, and all are good, but do not stop comparing before deciding. If we have mail accounts external to Gmail connected to a Gmail account, we may have noticed that Gmail is slow to update mail from external accounts. This problem, which really is not, is simply that the external mailbox that we have configured does not receive enought mail, and Google delays the update requests for that email account. Google’s algorithm takes into account the number and frequency of emails received in the external accounts it manages, and depending on that frequency, it takes more or less time to update that account again. So, if our account receives several emails every minute, the updates will take place every 5-6 minutes, but if we only receive one email each day, Google will take a long time to check back if there is new mail. although there are solutions, it is important to keep in mind that these are not “official”, and may not work as expected. Google offers test solutions from its testing lab. One of those options allows us to periodically update the mail, although for this we must have a Gsuite account. Enable Google Maps by following this link. Gmail POP3 Checker is a Google Chrome plugin that allows us to change the update time of the account. Basically, having the browser open connects to Gmail and forces an update of the mail from external accounts. To install it, just install the extension, click on the icon that appears in the Chrome bar, and configure the time we want to pass between each update. Although the default time is 1 minute, it is advisable to set it to at least 5 minutes, to prevent the server from blocking us for making too many requests.